Mix ground turkey, egg, ketchup, 1tbsp garlic, bread crumbs. 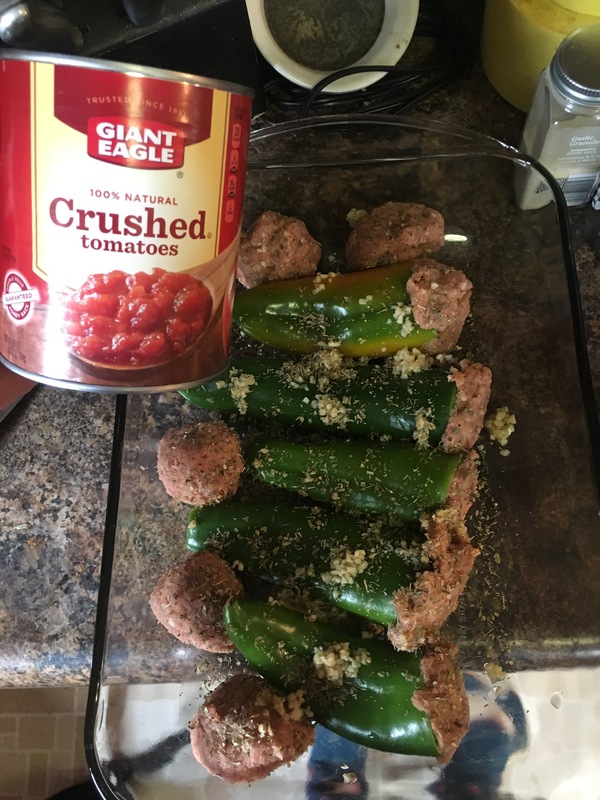 Stuff into peppers. 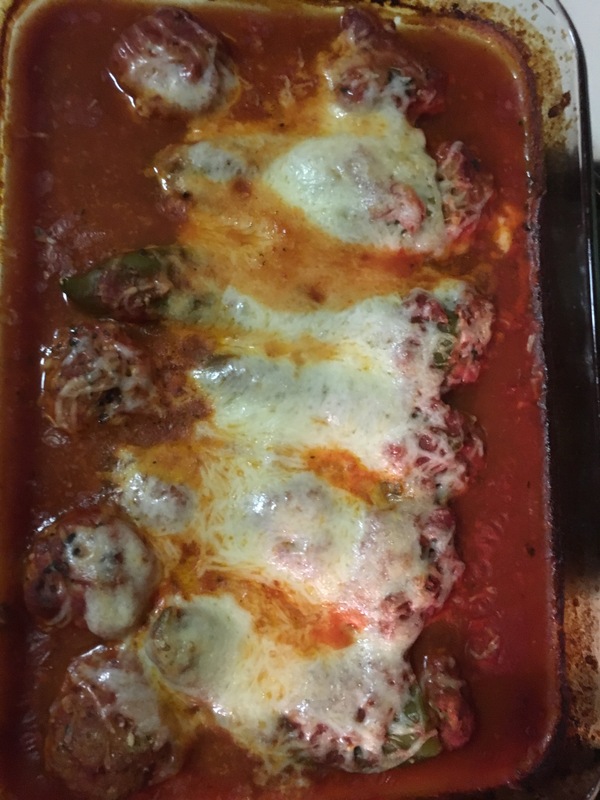 Form meatballs with remaining meat. Put in baking dish. sprinkle in remaining garlic, some basil, and oregano. dump crushed tomato on top. Top with foil heat at 350 for 50 min. Bump oven up cook for 20 min. uncover top with cheese heat until it melts.